Well, my Mum always said it pays to be nice. And so it proved to be last weekend when I won and iPad and Apple Pencil, worth $1000 or more. Just for being nice. Or, more to the point, just being honest. You see, the guys who run the CRM I use – called AllClients – were asking their clients for video testimonials. They had an IPad Pro and Apple Pencil on offer for the lucky winner of their draw – all participants had to do was deliver a video by the 5pm deadline last Friday. They understand that social proof is important in the way we ALL make decisions – essentially, has someone else like me, or in the same situation as me, bought this thing and been pleased with the outcome? It’s why people like Amazon and Trip Advisor focus so much on ratings. They know it works. And video works best of all – because we are much more likely to ‘watch‘ versus ‘read‘. Bish – bosh … video duly sorted! Well, being no stranger to a quick video, I knocked one off in under a minute – literally the last thing I did last Friday before we left for a week away in France. I sat at my desk with my webcam, spoke from my experience for about 45 seconds seconds and whizzed it over to them. Fast forward 18 hours to us waking up to our first morning away, when I received a notification that I’d won. Jeff Shamus – the founder of AllClients – got his Dad to draw a name out of the hat, and it was mine!! Woo hoo!! Importantly, I meant every word. So, if you are interested in a GREAT CRM system that will make ALL the difference to your marketing process management, below is my referral link – you get a $5 a month discount if you sign up using it. Just start with a ‘14 day free trial’ with the link and convert to ‘paying’ when you’ve made your decision. 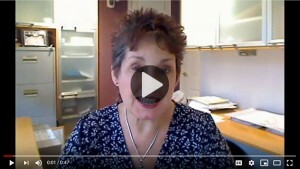 Why not run your own video testimonial competition? If you think YOUR customers can tell a great story about YOUR business, why not run a competition and ask them to record a video for you? After all, we all like to be a prize winner. I’ll let you know when my new toy arrives from the USA! 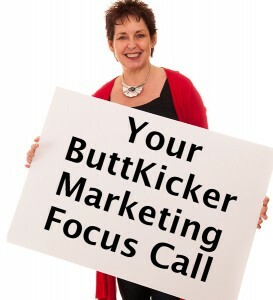 And if you are one of those people who recognises that they’re not gonna get focussed on their CRM system and marketing process without some help, you really DO need to book in for one of my ButtKicker Focus Calls where I’ll help you get some direction.